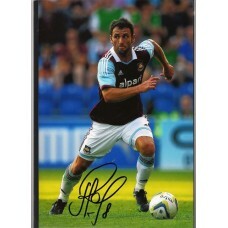 Signed photo of Razvan Rat the West Ham United footballer. 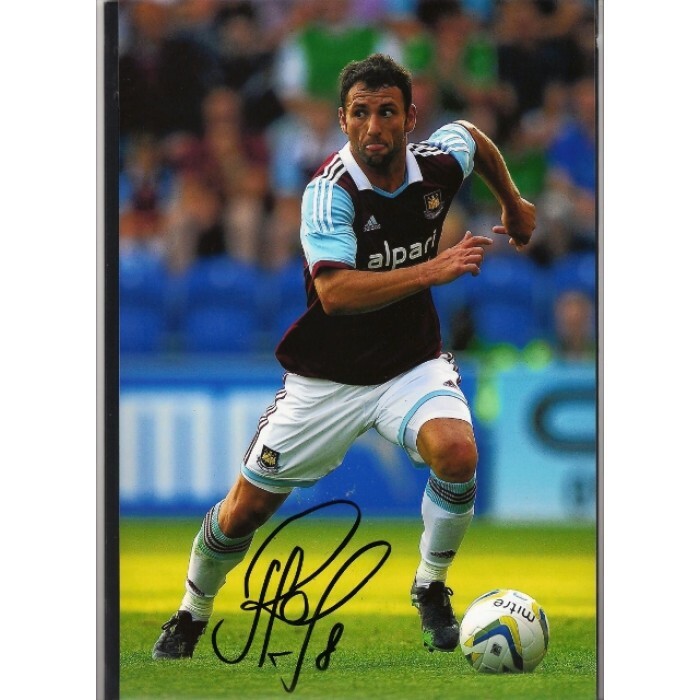 Home » Signed photo of Razvan Rat the West Ham United footballer. Razvan Rat. This is a really fabulous approx. 8 x 12 (20 x 30) colour photograph of Razvan Rat the West Ham United footballer. This photo shows Rat in wonderful close up detail. The quality of this photo is just terrific. Razvan Rat has signed this photo using a fine black marker pen. Rat played 20 games in all for the ‘Hammers’ between 2013-14 before moving to Rayo Vallecano. Rat has also won an impressive 103 caps for Romania. This really is a nice collector piece and very reasonably priced in the SALE at £4.00.